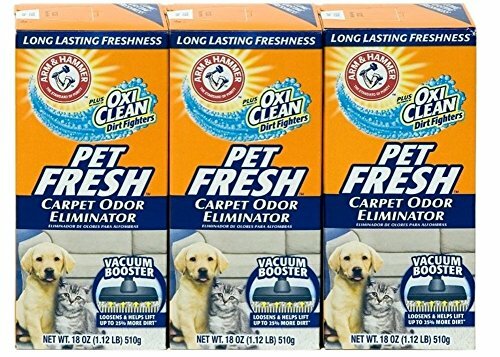 ELIMINATES PET ODORS TRAPPED DEEP IN CARPET FIBERS: Effectively deodorize the carpets and rugs in your home and office the fast, easy way, leaving them smelling fresh and clean. Simply sprinkle on and vacuum up! Our powder neutralizes foul odors left by stinky, smelly messes caused by urine, feces, poop, pee, vomit, throw up, puke and accidents. Our formula lifts away lingering and old odors. Its professional strength makes it excellent for homes with multiple pets. NATURAL FORMULA MADE FROM CORN COBS: Our earth friendly formula is safe to use around your pets and kids. Its ultra gentle on your carpets, keeping them looking better, longer. The non-abrasive formula won't cut carpet fibers causing irreversible damage like the products using baking soda. Our plant-based formula is 100% bio-degradable making it better for the planet than other chemical based products. It also reduces static electricity buildup and leaves your carpet feeling softer. PROFESSIONAL GRADE QUALITY: Professional strength that can be used to deodorize smells from urination, defecation and other problem messes left by dogs, cats, puppies, kittens, ferrets, guinea pigs and rabbits. It has a light, fresh laundry scent leaving treated areas smelling pleasantly clean! The crisp scent is not overpowering or smell like strong chemicals like other lesser quality products. We stand behind the quality of our products with a 100% SATISFACTION MONEY BACK GUARANTEE. HELPS VACUUM LIFT 25% MORE FUR & DIRT: Loosens up dirt, fur from shedding, pet dander and debris boosting the effectiveness of your vacuum for a better and deeper clean than vacuuming alone. It also quickly and effectively neutralizes odors caused by cigarette smoking, cooking, food, sweat, dampness, mustiness and mildew. It can be used all around your home in a living room, bedroom, kids room, den, basement, and on furniture upholstery, drapes and automobile interiors. OUR ETHICAL FAMILY COMMITMENT: Proudly made in the USA using socially responsible practices, locally sourced and sustainable ingredients, animal cruelty free production and eco-friendly recyclable packaging. 100% Money Back Guarantee! If you don't love our Pet Stain and Odor Remover, let us know and receive a full, no questions asked refund. We are a small family owned business of pet lovers committed to making great products that are safe for you, your pets and the planet! Loosens and help your vacuum lift up to 25% more dirt than vacuuming alone unwanted hair and dirt are vacuumed up with ease, and odors are destroyed deep down at the source. Safe to use around pets. 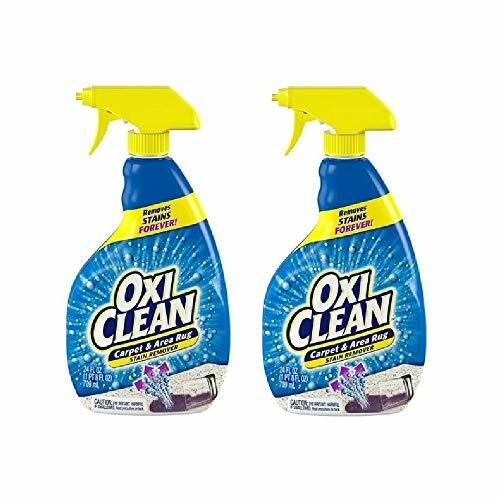 Remove even tough stains with OxiClean Carpet & Area Rug Stain Remover. PL360 Odor Neutralizing Carpet Powder works to eliminate even the strongest pet odors from your home. Because no matter how much we love our pets, we don t love what they do to our carpets by trekking, rolling, and even sleeping. A great daily cleaner is just what you need. PL360 Odor Neutralizing Carpet Powder is easy to use and works without the use of ammonia, bleach, phosphates, phthalates or sulfates. Baking soda with powerful absorbents and neutralizers eliminate stains and odors at the root. Cuz Pet Love means never having to say, Stay off the carpet! . Made in the USA. Made with a mineral-derived absorbent and corn starch to completely absorb liquid and odors. Made without ammonia, chlorine bleach, phosphates, phthalates, sulfates, dyes. 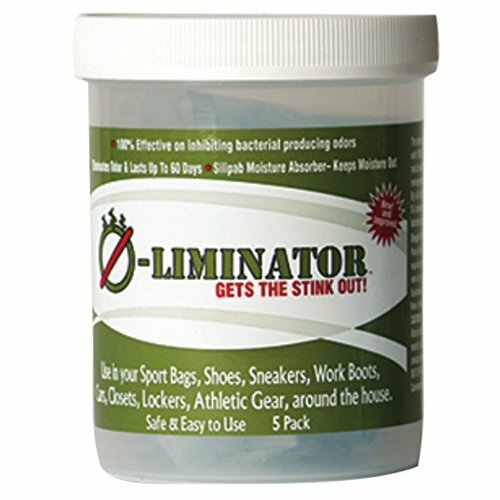 O-Liminator utilizes patented, breakthrough technology to effectively eliminate your toughest odors. The concentrated formula combats odors by inhibiting 99% of odor-causing bacteria and fungi, helping to prevent skin infections like MRSA, Staph, and E-coli. O-Liminator absorbs moisture using Silipab technology, so shoes, gym bags, and damp areas around the house dry out faster. The dry pellet packets absorb the moisture that allows bacteria to grow, eliminating the source of the odor. Simply place unopened durable mesh bags in areas with unwanted odors. With footwear, gloves, and pads, replace O-Liminator packets when these items are not being used for continuous odor control. Great as a concentrated deodorizer in shoes, boots, gym bags, sports gear, cars, baby s rooms, garbage areas, basements, bathrooms, and closets. Effective for athletes in cleats, skates, gloves, helmets, pads, sports bags, and lockers. Perfect for travel and luggage. Lasts up to 60 days. MADE IN THE USA. AS SEEN ON TV. INHIBITS 99% OF ODOR-CAUSING BACTERIA AND FUNGI with a patented formula. The anti-bacterial, anti-fungal additive helps prevent skin infections like MRSA, Staph, and E-coli. Dry pellet packets ABSORB MOISTURE using Silipab technology. Removes the moisture that allows bacteria, mold, and mildew to grow. Sweaty shoes, damp gym bags, and dank areas around the home dry out faster. More effective than sprays or powders. Neutralizes odors, DOES NOT MASK ODORS. Simply place unopened durable mesh bags in areas with unwanted odors. Non-toxic and environmentally friendly. LASTS UP TO 60 DAYS. Eliminate your toughest odors AT HOME in shoes, boots, gloves, gym bags, cars, baby's rooms, garbage areas, basements, bathrooms, and closets. FOR ATHLETES, use in skates, cleats, pads, helmets, gloves, sports bags, and lockers. Great for travel and luggage. Perfect as a concentrated deodorizer for hockey, lacrosse, football, baseball, dance, boxing, basketball, baseball, soccer, biking, and running. Used by the NFL, NBA, MLB, and NHL and 50+ Division I college teams. 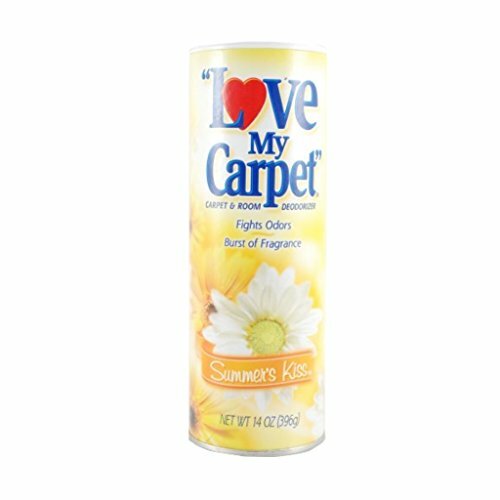 "LOVE MY CARPET" 2-in-1 Carpet & Room Deodorizer actually helps remove tough odors, then leaves a light, clean fragrance in your home. Two important benefits, all in one! Want to know 8 Reasons why Simple Pure Nature Vacuum and Carpet Deodorizer is hands down the absolute best choice for you and your home? 1. We use only 100% pure essential oil in our products. Studies have shown that Artificial fragrances can have harmful effects on humans and pets over a certain time period of exposure. 2. Fine powder, sold by the big brand competition, not only can clog your vacuum, it can actually void your vacuum warranty. Plus 20% of the fine powder in those products goes into and stays under your carpet, causing it to trap additional odors. Yuck! 3. 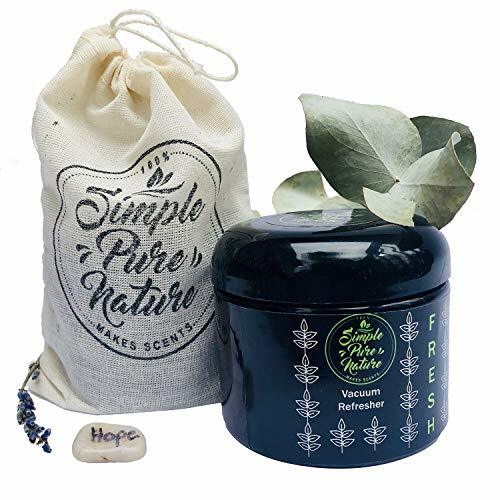 Simple Pure Nature Vacuum and Carpet Refresher base is made of simple and safe plant rice, eucalyptus and lavender pieces. They are larger than fine powder and will require and help you slow down vacuuming witch allows your vacuum to pick up more dirt that you can't see. Smart! 4. Dust mites are repulsed and repelled by Eucalyptus oil, Clove oil, and Peppermint oil. These oils also have wonderful benefits such as anti-bacterial and aromatherapy properties. Oh.. they also neutralize and destroy odors naturally! 5. We absolutely promise you will love this product or your money back! 6. You will be supporting a small USA business, local farmers, and Beyond the Ribbon. You do make a difference! 7. You will feel good about making a healthier choice for your home, family, pets and a healthier vacuum! Help us in our mission to transform the way you clean. A healthy home is a happy home! Rice, Baking Soda, Lavender pieces, Eucalyptus pieces, Tea Tree oil, Eucalyptus oil, Spearmint oil, Lavender oil, and Clove oil. Removes more dirt & odors than vacuuming alone. Keep your floors at their most lovable with Glade Carpet & Room Refresher / Deodorizer / Deep Odor Eliminator Powder. Eliminate deep down odors on carpets and rugs, and freshen your home with Glade Carpet & Room Honeysuckle Nectar Scent to ensure you always have something soft and loving to come home to. 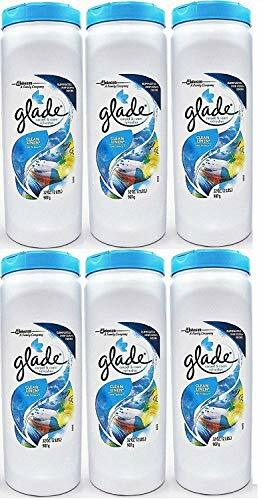 Glade Carpet & Room Refresher Honeysuckle Nectar Scent - Odor Eliminator - specially designed with bold fragrances to help liven up every day. Designed to neutralize odors and not simply mask them, freshen up your space today. Prepare for an uplifting experience with Glade Red Honeysuckle Nectar. Playful aromas of honeysuckle, violet and nectarine join the cheerful scent of watery green florals, blood orange, and apples. Together, they fill any room with good vibes and flirtatious charm. Say goodbye to any unpleasant odors with the Glade Carpet & Room. 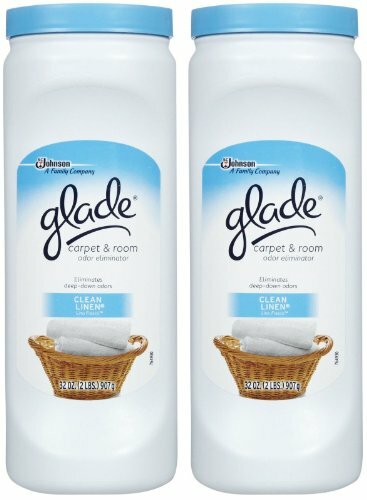 Glade Carpet & Room odor eliminator is easy to use - simply sprinkle the contents evenly over the carpeted area and vacuum thoroughly for a clean, fresh scent in minutes. Also, for use on upholstery, automobile interiors and drapes. Avoid use on wet or damp areas. Keep children and pets away from area being treated until vacuuming is completed. Get the confidence of knowing that your home is always welcoming and pleasurable for family and unexpected guests. To maintain the freshness of your home, use Glade Carpet & Room every time you vacuum. IT SMELLS AMAZING!! Makes a perfect gift! 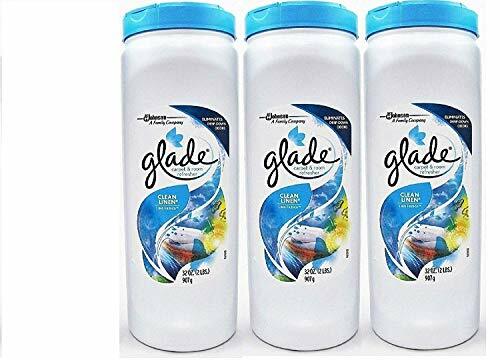 Glade Carpet & Room Refresher Honeysuckle Nectar Scent - Odor Eliminator - specially designed with bold fragrances to help liven up every day, formulated to fight even the toughest cooking, pet, smoke, dampness, and mildew odors. Designed to neutralize odors and not simply mask them; freshen up your space today. Prepare for an uplifting experience with Glade Red Honeysuckle Nectar. Playful aromas of honeysuckle, violet and nectarine join the cheerful scent of watery green florals, blood orange, and apples. Together, they fill any room with good vibes and flirtatious charm. Eliminate deep down odors on carpets and rugs, and freshen your home with Glade Carpet & Room Honeysuckle Nectar Scent to ensure you always have something soft and loving to come home to. 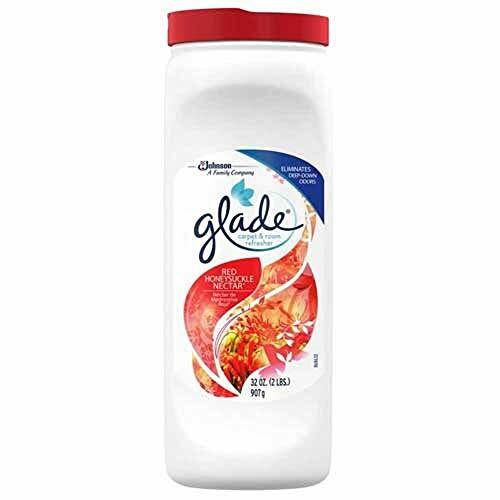 Say goodbye to any unpleasant odors with the Glade Carpet & Room. Long Lasting; Suitable for use in a home or office setting; Use in any room: living room, bedroom, hallways, office or car. A welcome addition to any freshening routine. To maintain the freshness of your home, use Glade Carpet & Room every time you vacuum. IT SMELLS AMAZING!! Makes a perfect gift! Are you tired of smelling foul odors that have made their way into your carpet or other surfaces? If so, the Citrus Carpet Odor Neutralizer is for you! It works its magic by acting as a water-soluble odor maskant, specially formulated to counteract organic odors. 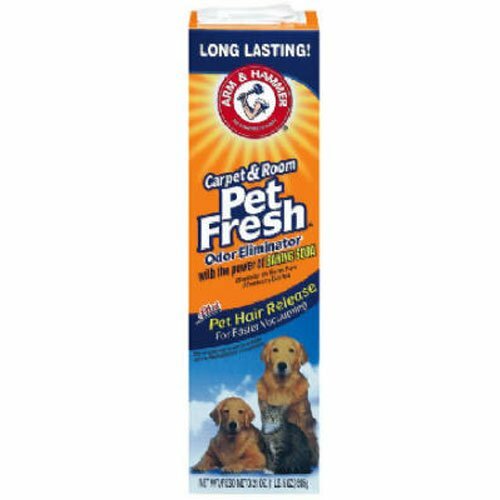 We highly recommend the use of this product to eradicate the odor associated with dog or cat urine or feces, as well as most other animal and organic odors. This is a solution that you can both rely on and trust for use with your prized possessions. Whether you are a homeowner or a business owner, you will be surprised at the amount of money you can save with this all-in-one solution that limits the amount of equipment and supplies you need to get the job done. Our goal is to provide you with quality products that actually work, at a price you can afford. 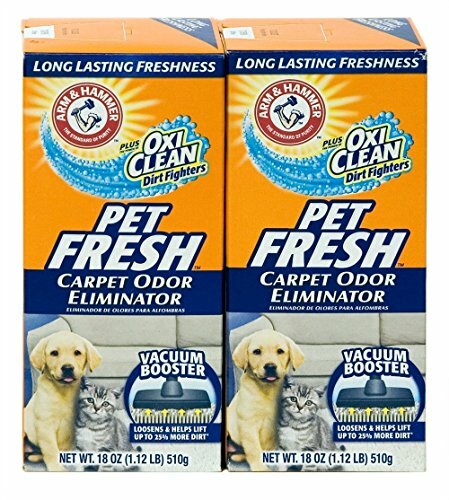 GET RID OF ODORS ONCE AND FOR ALL: When applied properly to the odor source, this carpet odor neutralizer can permanently neutralize dog or cat urine odors, and most other animal and organic odors as well. Without the use of a powerful odor absorbing solution, foul odors can lodge in the fibers of your carpet or seep into your upholstery and stay there for years. MULTI-PURPOSE CLEANING SOLUTION: This citrus carpet odor neutralizer is a water-soluble odor maskant formulated to counteract organic odors. It is a highly potent, heavy duty carpet deodorizer that works hard to get rid of unpleasant smells, so you can be sure that your home or business will be filled with a refreshing, citrus aroma. FOR A VARIETY OF SURFACES: Our impressive cleaning solution can be used for either personal or professional projects. We recommend the use of this product to clean and sanitize your household, office, boat or car carpets, area rugs, and upholstery, as well as hard surfaces such as furniture. It has the versatility to be used on dog or cat odors, as well as most other animal and organic odors that penetrate deep within the surface. EASY TO APPLY: To ensure compatibility with the area to be cleaned, always conduct a pretest. 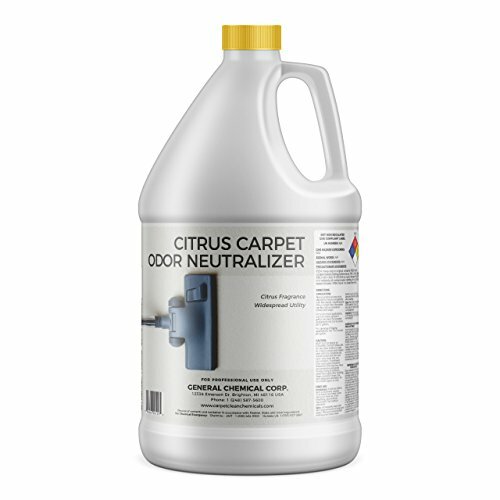 Our citrus carpet odor neutralizer can be used as received or diluted with water. It can also be mixed with other cleaning solutions, sprayed, or injected into carpeting for problems such as urine spots, or fogged to deodorize large interior areas. CARPETGENERAL GUARANTEE: Offering a full range of premium quality, professional carpet cleaning products and supplies, General Chemical Corp. has been developing solutions to the toughest carpet cleaning problems since 1980! Many professional carpet cleaning companies have switched to our products because of their expert cleaning results and non-corrosive properties. Give us a try - we are proud to offer you our 100% Money Back Guarantee and always prompt and warm customer service! Brand: CarpetGeneral | Manufacturer: General Chemical Corp.
Are you tired of smelling foul odors that have made their way into your carpet or other surfaces? If so, the Carpet Odor Neutralizer is for you! This is a solution that you can both rely on and trust with your prized possessions. 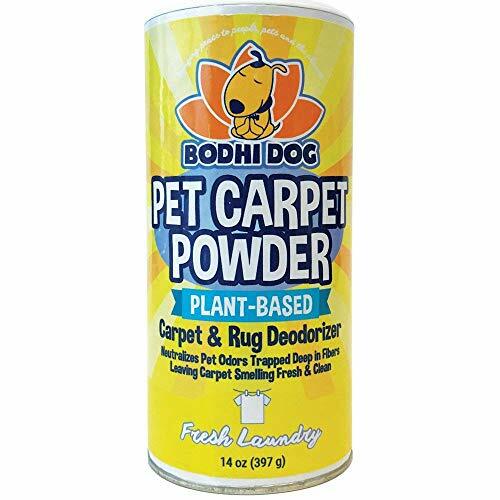 GET RID OF ODORS ONCE AND FOR ALL: When applied properly to the odor source, this carpet odor neutralizer can permanently neutralize the smell of smoke, mildew, dog or cat urine, and most other animal and organic odors. Without the use of a powerful odor absorbing solution, foul odors can lodge in the fibers of your carpet or seep into your upholstery and stay there for years. This odor neutralizer does not mask unpleasant odors, it effectively eliminates them at the source! 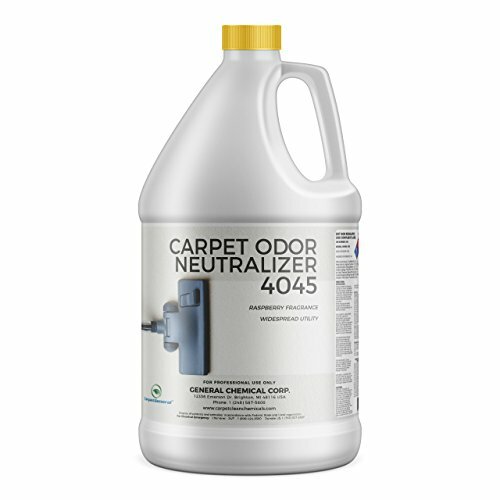 MULTI-PURPOSE CLEANING SOLUTION: This scented carpet odor neutralizer is a water-soluble odor maskant formulated to bond with organic molecules that cause unpleasant smells and effectively counteract them. 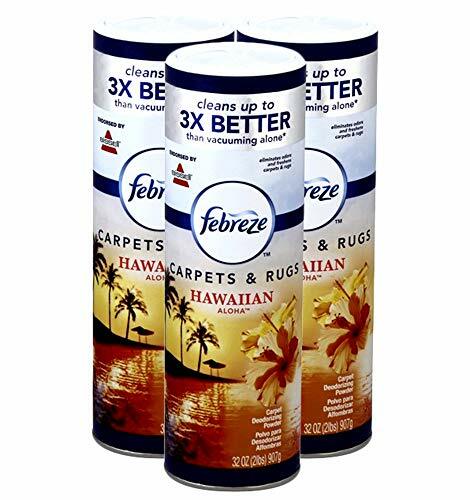 It is a highly potent, heavy duty carpet deodorizer that works hard to get rid of unpleasant odors, so you can be sure that your home or business will be filled with a refreshing, raspberry aroma. FOR A VARIETY OF SURFACES: This impressive cleaning solution can be used for either personal or professional projects. We recommend the use of this product for cleaning your household, office, boat or car carpets, area rugs, and upholstery, as well as hard surfaces such as furniture and flooring. It has the versatility to be used on dog or cat odors, as well as most other animal and organic odors that penetrate deep within the surface. EASY TO APPLY: To ensure compatibility with the area to be cleaned, always conduct a pretest. Our raspberry carpet odor neutralizer can be used as received or diluted with water. It can also be mixed with other cleaning solutions, sprayed, injected into carpeting for problems such as urine, or fogged to deodorize large interior areas.